Want a career in healthcare that involves working directly with patients? Need a relatively short training program, that gets you job-ready in under one year? Medical office administration could be your perfect fit. This role combines office management with front-line patient care. You'll work at a hospital, private clinic, or nursing home, as an important member of the health care team. In fact, no medical clinic could run without the help of skilled, compassionate administrators. What exactly does this role involve, and what will it take to start your career? 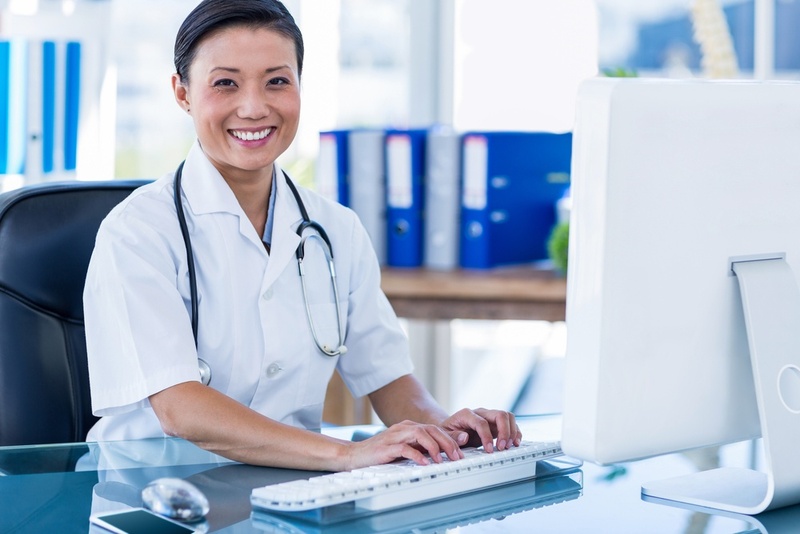 Take a look at your first 5 steps toward becoming a medical office administrator. A lot of people start training for a career, without a clear understanding of what they'll actually be doing on-the-job. Sure, they have a general sense of what the role involves—but in many cases, students are missing key information about daily tasks, required skills, challenges, etc. So, step #1 is nailing down an accurate job description for medical office administrators (MOAs). Obviously, certain specific tasks will vary a bit, depending on where you work: hospital, doctor's office, dental practice, etc. setting up for staff meetings, taking minutes, etc. Clinics are usually quite busy and fast-paced. It takes quick thinking, excellent organization, and really strong "people skills" to do this job well. Many employers highlight problem-solving, friendliness, and multi-tasking as key attributes they look for in medical office administrators. Bottom line: You'll need to be efficient and move quickly, while maintaining a warm and welcoming atmosphere at the clinic. It's always a good idea to understand how local job market trends will impact your ability to land a job after graduation. For example, if there's very little demand for MOAs where you live, you can expect tough competition when applying for work—and it might take longer to find your first position. Just knowing what to expect will help you set realistic expectations for your job hunt post-graduation. So, how do you find this information? Check out the Government of Canada Job Bank. They post reports on job outlook for thousands of occupations, all across the country. Here's a look at the most recent report for Medical Office Administrators in the Toronto region. You can see the median wage and job outlook, along with information on required skills, education, and employment opportunities. The Job Bank tells us there is "fair" demand for medical office administrators in the Toronto region—which means demand is steady, but there isn't an overflow of available jobs at the moment. Two out of three stars is a "medium" rating from the Job Bank, falling in between one star (which means very little demand), and three stars (which means good/strong demand). 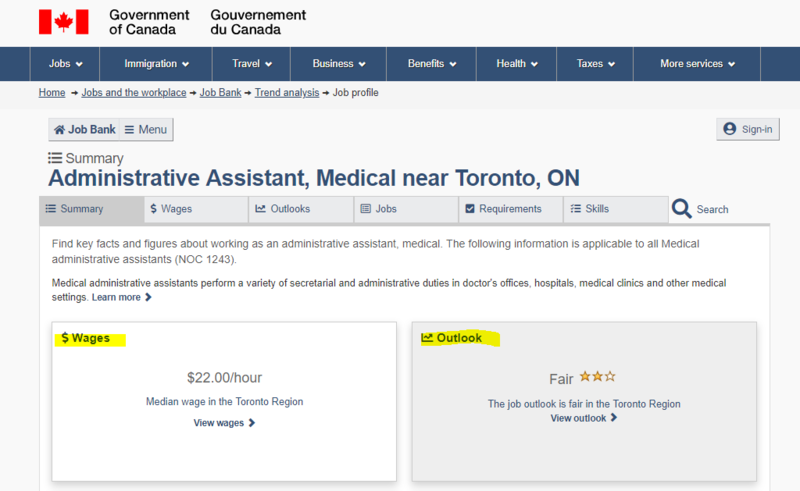 Overall, it's an average rating for job outlook. Click here to see the full report for Medical Office Administrator near Toronto. "Candidates with training in medical office administration should have the best opportunities for securing employment..." The report goes on to say that key skills, such as "customer service", "medical terminology", and "strong knowledge of health care software" will give job applicants a stronger edge. Which brings us to our next step in becoming a medical office administrator: getting quality training. You know what the job involves, and you've seen the latest career outlook report. Now it's time to research medical office administrator training, and figure out what's involved in getting your diploma. There is a variety of medical office assistant colleges across the GTA, each with their own version of this diploma program. A quality program will teach you the medical, clerical, and communication skills needed to do this job well, and compete for a good position at a hospital or clinic. You should be able to complete your diploma in one year, or less. At Herzing, for example, we offer a 10-month Medical Office Administrator Program. It's a full-time diploma program, and includes a 6-week practicum at a local clinic. An internship will help you apply everything you've learned in a real clinical environment. This part of training builds confidence, and helps students gain professional experience, before they finish the program. With so many colleges offering similar MOA programs, which one should you choose? First, ensure the college is accredited, and the program is taught by an experienced professional, with many years of related clinical experience. The best way to fully understand what each college has to offer, is by booking an appointment with their admissions team. More on that next. Before you make any decisions about enrollment, make sure you meet with an admissions advisor. First of all, you'll probably need to take a qualifying test, to ensure you meet basic requirements for the medical office administrator program. But talking with admissions is also your chance to ask more detailed questions about the training and college. You will discuss your goals, talk about class scheduling options, and make sure you're a good fit for the program. This is also an excellent opportunity to tour the campus, check out the facilities, and ask about things like financial aid. The admissions advisor might even be able to arrange a class visit—so you can drop in on a medical office class, and see the instructor in action. This is absolutely the best way to finalize your decision, and make sure you choose the right college. After that, all you'll need to do is complete the training, do your practicum, and start your career! You could be at your first job, less than 12 months from today. Ready to get moving toward your goal? 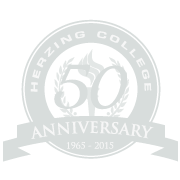 Want to learn more about studying Medical Office Administration at Herzing College Toronto? We're here to help. Use the links below to request free information, explore the diploma program, and connect with an admissions advisor online.